TransPennine literally defines itself in the first few moments as a “respectful comedy” about loss, with an unusual introduction set-up scene, as if reassurance were needed that this story would be coming from a place of love. I’m glad they did though, mainly because of elements of old-fashioned Alf Garnett wife-hating misogynist humour which isn’t a favourite of mine, although it clearly was a favourite of some of the older men in the room. 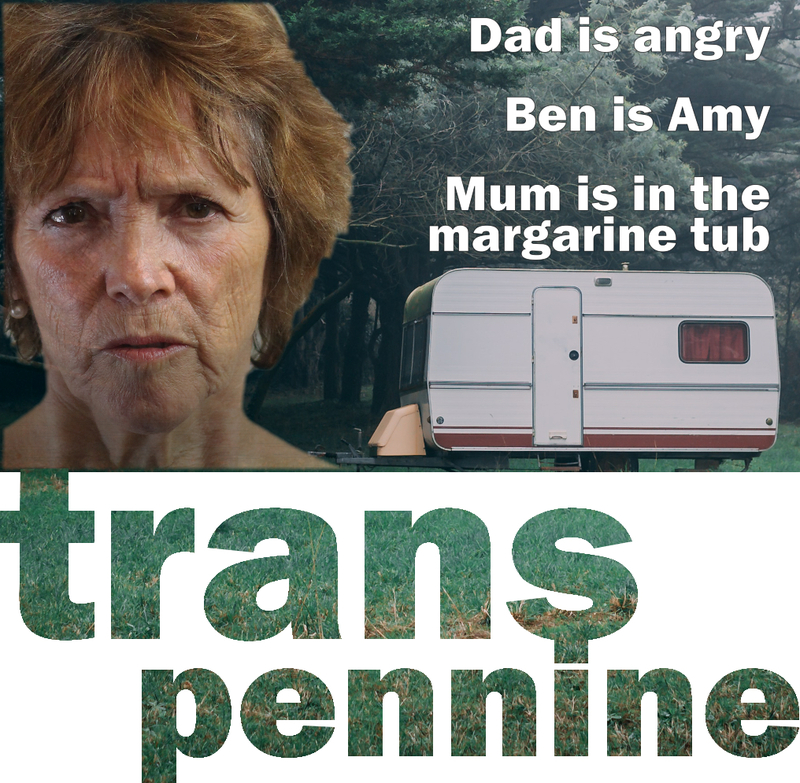 A dark comedy drama led by three actors (NICK BLESSLEY, IAN TUCKER-BELL, with a standout JULIE FLOWER), TransPennine is about a newly-widowed, ill-tempered father and his two children Ben and Victoria, and their journey to fulfil the final wishes of Gillian, their wife/mother whose ashes travel with them in a margarine tub to be scattered at her favourite caravan park in the Yorkshire Dales. The story of the road-trip is interspersed with background history of the family’s often difficult life together, and their struggles, misunderstandings and conflicts, which are eventually made more poignant by revelations borne from consequences of long-kept secrets. Though I liked the overall story, I didn’t gel easily with the structure of the production, mainly because of frequent jumps between narration, exposition and action, converging with jumps between comedy and pathos, and breaks in the fourth wall. This felt confusing and disjointed, and the humorous asides to the audience didn’t add anything to the piece. Tired gender stereotypes grated on me, and although attempts to redress balance and add self-parody are made through Victoria’s character, they were executed in a way that felt engineered. I did struggle to engage with some of the acting style too, at times finding it overly theatrical for the stuffy performance space. Given the show’s promotional line: “Dad’s angry. Ben is Amy. Mum is in a margarine tub”, it doesn’t give anything away to say that the play’s title has a double meaning given there is trans storyline. This focuses on the character of Ben/Amy (IAN TUCKER-BELL) and it emerges rather awkwardly in the second half of the 50-minute show. I enjoyed this part so much more, and would have happily watched a greater part of the plot focused on the Ben/Amy element. This was by far the standout part of the play, with stronger writing which in turn made for better performances from IAN TUCKER-BELL and JULIE FLOWER. 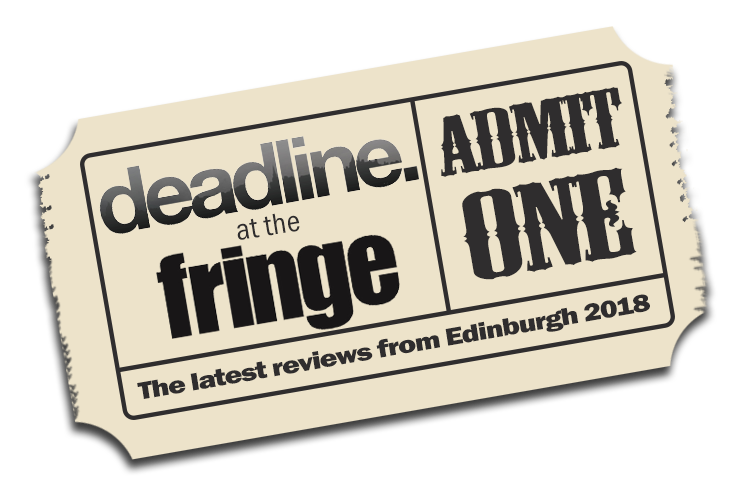 It’s a risky strategy to combine distinct elements of old-fashioned style comedy with more complex and delicate contemporary subjects, which can lead to misdirection and a lack of clarity as to where the humour is meant to lie. I sensed in the audience that for a brief moment some (mainly older) male audience members thought that Ben/Amy’s character was up to be mocked, soon realising that wasn’t the intention at all. I ended up thinking that perhaps I wasn’t the right kind of audience for the piece, but then given the contrasts of ages, styles and subjects, perhaps that was the problem – who is exactly? It was a nice enough trip to the Dales, but I’m not sure I’d hurry back.